My grandfather was William Barber, a ship’s engineer and fisherman, originally from Lowestoft who moved to Brighton in the 1920s. He worked on fishing boats there and also at one time drove speedboat trips from one of the piers in Brighton, my mum thinks it was Palace Pier. 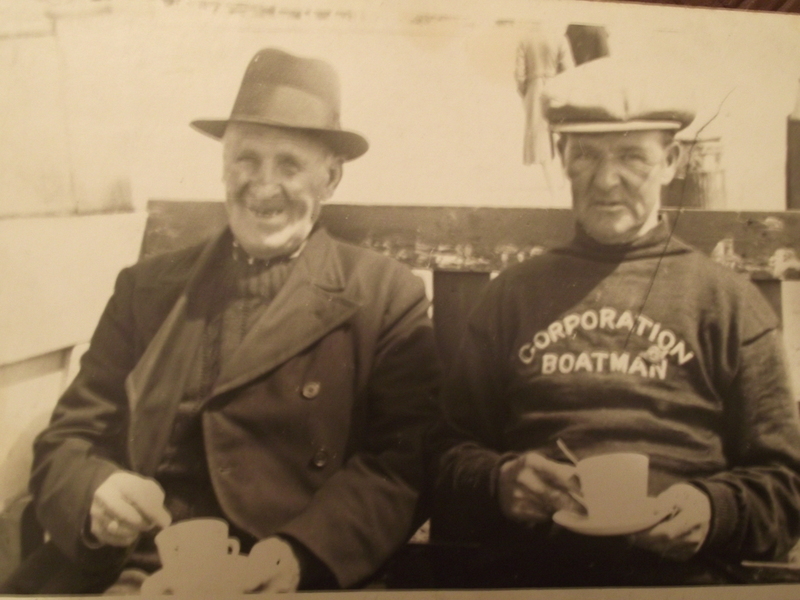 Before the war he was also a corporation boatman which we would now call a lifeguard. My mum remembers him working near the Black Angel. He used a rowing boat and a megaphone and always wore a thick wool jersey;he called it a ‘garnsey’. He had to be able to pass a swimming test fully clothed including this jumper. By one of the groynes there was an area of deep water, and mum vividly remembers a man who repeatedly ignored the warnings to stay clear of it. Mum recalls the man wearing a shirt and trousers both rolled up and with shoes in hand. Next thing he started shouting “Save me boatman! Save me!” Bill had to go in and get him out. Another occasion mum recalls, was one Christmas when a hamper was delivered to their home full of undreamed of luxuries. Mum described it as ‘manna from heaven’. There was no name attached, but they believed it to be from a well-to-do gentleman whose daughter and friend Bill had rescued. This was the only person who had ever asked for Bill’s name and address. Bill loved the sea and had to be there every day. He was the last one off the beach when the barbed wire was laid to protect the beaches in the war. As they could no longer work from Brighton the fishermen then went to work and board in Rye and Hastings.